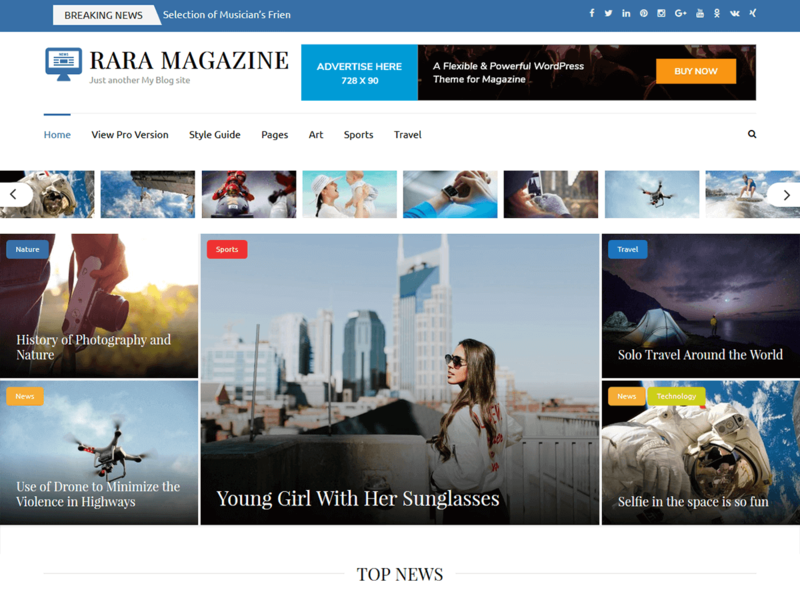 Rara Magazine is a child theme of Metro magazine, modern responsive magazine WordPress theme. The theme is suitable for variety of news, newspaper, magazine, sports, technology, food, travel, blogs, publishing, business and any kind of sites. The theme is built on Customizer and it allows easy customization. Rara Magazine includes color scheme and color for categories, which you can use to change the look and feel of your website with a click. The theme is Speed and Search Engine Optimized (SEO) to help you easily climb the google rank. Other feature includes social media integration, custom widgets, author bio, breadcrumb, advertisement settings, custom CSS, translation ready and more. Check demo at https://demo.raratheme.com/rara-magazine/ and documentation at https://raratheme.com/documentation/rara-magazine. Read theme details at https://raratheme.com/wordpress-themes/rara-magazine and get free support at https://raratheme.com/support-ticket.